Air Tanzania Company Limited (ATCL) is in the process of revamping its operations and has introduced new equipment to its fleet as part of implementation of its five years Corporate Strategic Plan (2017/2018-2020-2021). In line with this expansion, the Company is also making some reforms in its structure, internal operations and staffing to accommodate the needs of its rapid expansion. Therefore, applications are invited from qualified Tanzanians to fill the following positions in its Commercial and Business Development Department. The candidate must possess a Bachelor Degree in Statistics/Economics or equivalent qualifications with at least five (5) years of relevant working experience in airline, sales and/or working in marketing in a challenging business environment.  Analyzing, developing and implementing Inventory control strategies and Pricing levers within assigned routes to deliver Revenue, RASK, Yield and Passenger targets.  Implement yearly Revenue Optimization strategy for assigned routes taking into account seasonal fluctuations.  Monitor passenger booking pattern over the booking cycle of the flight and manage over-booking to maximize revenue.  Responsible for reviewing and approving proper optimization parameters which provides the means to ensure leg optimization reflects market needs and business policies and decisions.  Analyze and forecast segment / class demand and modify as required.  Provide route reports to the sales team, gather market intelligence / calendar of events so as to exploit opportunities and minimize threats from competitor activity.  Closely work with Network Planning and Pricing teams in identifying strong and weak flights and provide proactive measures to maximize revenue.  Group requests finalized and actualized on assigned routes.  Ability to communicate effectively (written & verbal) at all levels. The candidate must possess the Bachelor Degree in Business Administration of equivalent qualification, good knowledge of local travel markets and at least five (5) years of relevant working experience in airline, sales and marketing.  Develop, execute and drive the Passenger Sales plan guaranteeing exposure of Air Tanzania’s product facilitating delivery of the company’s Sales targets and business objectives in the assigned territory.  Analysis of business environment to facilitate timely response to developing market trends to maximise on opportunities that arise and minimise adverse impact on company sales.  Ensure that all travel agents and corporate are prioritised, regularly visited and professionally handled by the sales team to increase revenue and gain market share.  Provide input and participate in the identification and progress of new business opportunities for revenue growth (through Agents Incentives/ Corporate agreements /partnerships/ Major Events & Conference Organisers etc).  Participate in Air Tanzania’s passenger revenue budget process for the assigned territory.  Assess and propose appropriate incentive schemes to Travel Agents, Tour Operators, Corporate travel, and Government Institutions so as to enhance productivity, efficiency and maximisation of revenue.  Develop and monitor expenditure budget/actual and control costs. 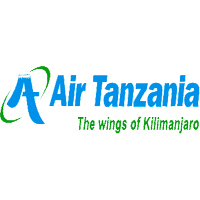  Sell Air Tanzania products and network to achieve the set sales objectives and targets within the assigned territory.  Achieve and exceed agreed market share, passenger and revenue targets.  Incentive schemes for Travel Agent, Govt. and Corporate travel.  Effective control of expenditure budget.  Excellent computer and presentation skills.  Strong analytical, visionary Planning and organizational skills.  Knowledge of airline business processes is an added advantage. The candidate must possess a Bachelor Degree in any discipline with at least five(5) years of relevant working experience in airline. Must havebusiness experience with a knowledge of quantitative methods and economics.  Lead the revenue teams in formulating, implementing and controlling – Pricing, Inventory and Support strategies in order to deliver Company Revenue, RASK, Yield and Passenger targets.  Directs the development and implementation of Revenue management strategies to deliver the Company’s business plan.  Monitor and control all pricing and inventory management strategies to deliver expected yield, revenue, passenger targets while remaining competitive.  Lead, motivate and guide the Revenue Management teams to enhance productivity and efficiency.  Provide input and participate in the identification and development of new business opportunities for Revenue growth (SPA’s, Code shares, Commercial Agreements/Partnerships).  Participate in Air Tanzania’s revenue budget process to ensure Revenue Management strategies are in line with company business plan.  Review functionality of the existing Revenue Management systems from time to time in order to initiate a process through which more enhanced functions / systems are acquired in keeping with the best industry practice.  Evaluate and recommend appropriate Revenue Management systems to enhance productivity, efficiency and maximization of revenue.  Incremental growth in ATCL’s network and market share.  Relevant and accurate input into the identification and negotiation process with new partners.  Strong analytical and visionary skills.  Planning and organizational skills. All above positions carries an attractive remuneration package and other benefits as per ATCL Incentive Scheme. Three (3) years contract (renewable) upon successful performance.